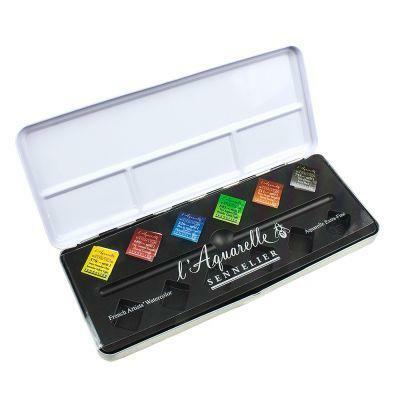 This Sennelier L’Aquarelle Watercolour 6 Half Pan Trial Set contains six professional quality watercolour pans. 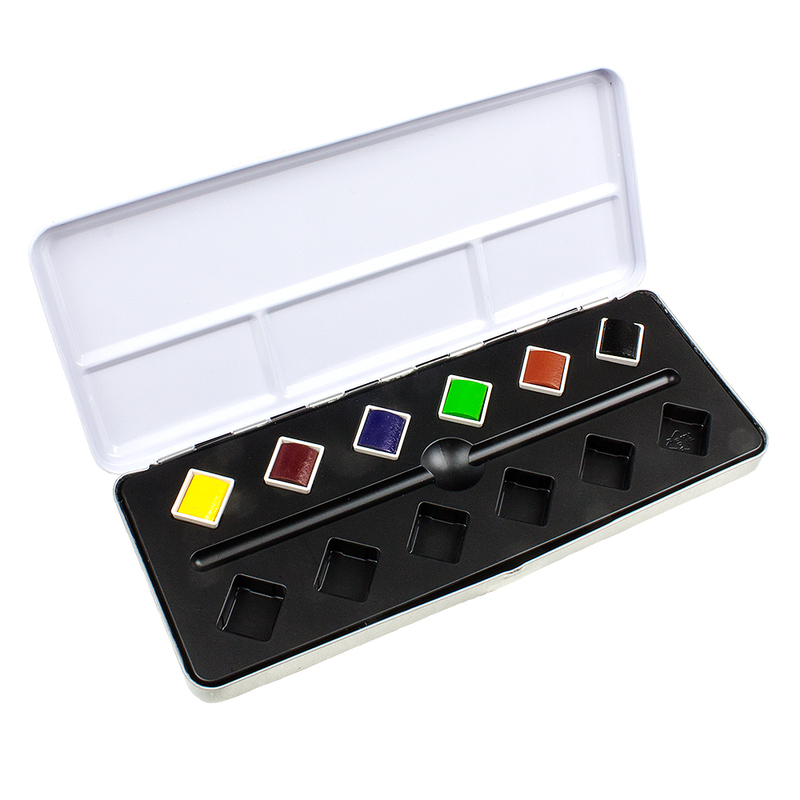 The six colours in the set offer a great mixing palette, allowing you to really experience the brilliance of this range. 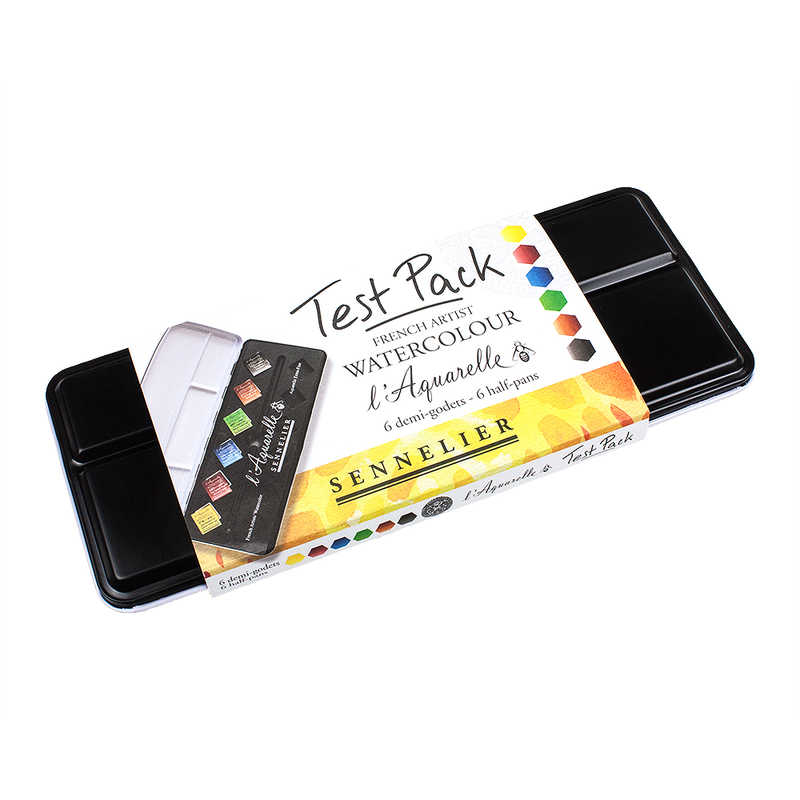 The Sennelier L’Aquarelle watercolour range offers a high-quality paint that has been formulated to meet the needs of even the most demanding watercolourists. Each paint is manufactured in France using the same time-honoured traditions as were used over a century ago. Only the finest artists’ pigments are used, which are finely ground to ensure brilliant colour and excellent lightfastness. Superior Kordofan Gum Arabic is used to bind the colour and honey is added to give incomparable brightness and smoothness. The amount of honey added is carefully calculated to provide optimum vibrancy and consistency.